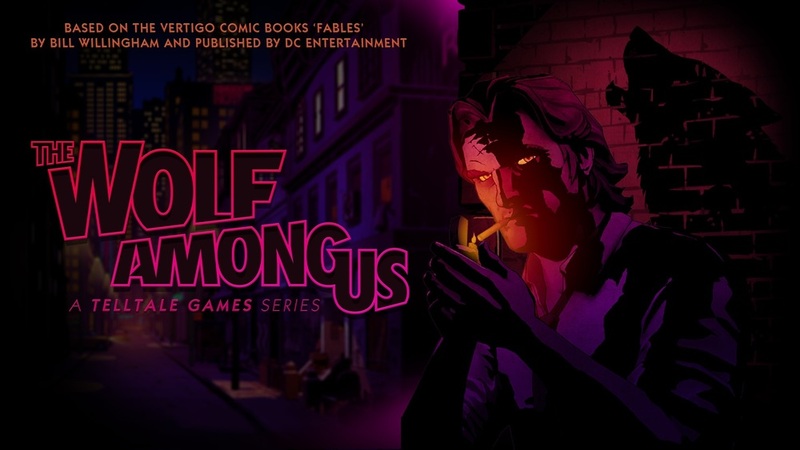 The Wolf Among Us is the next in a great line of decision based games brought to us by the wonderful people over at Telltale Games. Following on from Telltale's 2012 Game of the Year The Walking Dead comes the vivacious and fully immersive The Wolf Among Us. Based on the brilliant Fables comics by Bill Willingham and published by DC Entertainment, Telltale not only cater for their very loyal gaming fans but those who wanted to see the comics brought to life in the way it deserved. First of all I just wanted to say that Telltale made The Walking Dead (TWD) game look amazing with it's comic book look but with The Wolf Among Us they showed us that TWD was only just the beginning. It truly is beautiful from character faces down to the little things like plaid shirts, and with a textural feeling that really feels like a moving comic. You play the game as Bigby Wolf, the sheriff of a small part of Manhattan known as Fabletown. Many fairytale creatures have moved to this town to live their life with the "Mundies" (Mundane people) and hide away their true looks with a spell called Glamour. With Bigby trying to forget his violent past and trying to keep order in a town where no-one likes him, Fabletown is in for some very bad times. The game doesn't shy away from dealing with very real issues not just of life in general but these fables dealing with each other. There is a whole host of fabled characters from Mr Toad to Snow White so there will be characters that will all know and some that you may not, In my case it was Mr Ichabod Crane (yes, I kicked myself when I finally realised who it was). The decision part of the story is very much the same as TWD however if you are unfamiliar with it I will give you the idea. In the story you may be faced with the decision of how to answer a certain question that someone has asked you, generally you will then be given four options (Xbox; A,B,Y,X - PS3 Cross,Circle,Triangle,Square). Depending on the question and your answer depends on how the character reacts, for example If you are asked whether someone is good looking you may get four options saying "Yeah they are hot" "No I find them repugnant" "I haven't really looked" or "....." (no answer) and depending on what you say depends on the reaction you receive, they could be offended or disbelieving and that will be carried forward through the story and the game play can change with regards to your answer. Being as brilliant as the game is in what you would consider the main aspects like gameplay and control, it does however have some bad points. The first and probably main one is the game play time. Compared to TWD it seems rather short and believe me I took my time to absorb the surroundings but even with this it was over well before I expected. I think with a rough game time of 1-2 hours it could of been a little longer, however with a price tag of $4.99/€3.99/£3.50 it is very good value. The only other issue I would say I have and I really am trying to pick something is..... I have to wait for the next part! As anyone who played TWD last year will know Telltale do have some issues with rolling out their games. I know it is because they are constantly trying to make the game play seamless and will obviously have problems with such a demand but just don't tell us we will get one a month if we won't! All in all it's a fantastically stylish game with plenty to keep you occupied....even if it is over too quickly.